Go back in time to the 1980s with this retro online slot. 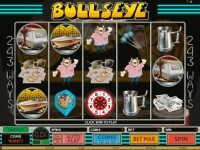 Bullseye online pokie is an exciting and high paying new slot from Microgaming with 243 ways to win over 5 reels. Pays left to right just like your typical Bitcoin pokie machine and packed full of bonus features including stacked wilds and free spins. This slot is themed on the game of darts set in the 80s with loveable characters Jim, Tony, and Bully. Enjoy this free pokies no download game below (wait for game to load), no registration is required to play! You can mix your bet size up easily between 1 cent to 25 cents per line. This game has various bonus features which will make all lucky players very excited. The wild is depicted by the Bullseye logo and will substitute for other symbols helping to create high paying winning combinations. The highest paying symbol is the wild. The Bally’s prize board bonus game is won when the prize board is activated on reels 1 and 5. In this feature you can select 5 picks from 9 prize boards. Each pick will award between 2x and 15x your total bet. This is a really good interactive bonus with excellent graphics and sounds. Look out for the scatter dart board symbol because when 3, 4 or 5 land anywhere on the pokies reels you win the 15 free spins bonus. During the free spins all wins are multiplied 2x and additional scatter provide further payouts between 5x and 100x original bet. You can even trigger the Bally’s prize board during the free spins bonus. Overall the Bullseye online pokies game provides great gameplay, easygoing symbols including dart board, winners mug, cash, sunglasses and 1980s car, boat and caravan. If you are looking for a retro game that will take you back to another decade have a spin on the Bullseye online pokie with real money. 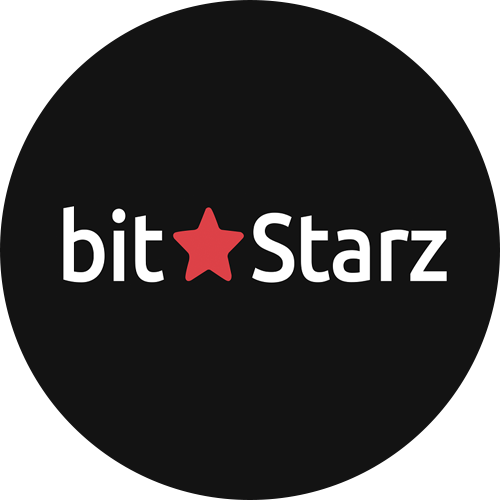 Bitcoins will love this easy going slot.